DONATE BLOOD: From 9:30 a.m. to 3:30 p.m. at the Oregon DHS Office, 16440 S.E. 82nd Drive, Clackamas. Make an appointment by visiting RedCrossBlood.org or calling 800-733-2767. DONATE BLOOD: From 9:30 a.m. to 2:30 p.m. at the Public Safety Building, 3200 S.E. Harrison St., Milwaukie. Make an appointment by visiting RedCrossBlood.org or calling 800-733-2767. DONATE BLOOD: From 8:30 a.m. to 1:30 p.m. at St. John the Apostle Church, 516 5th St., Oregon City. Make an appointment by visiting RedCrossBlood.org or calling 800-733-2767. DONATE BLOOD: From 10 a.m. to 8 p.m. at Baskin-Robbins, 19510 S.E. McLouglin Blvd., Gladstone. Make an appointment by visiting RedCrossBlood.org or calling 800-733-2767. LET'S LEGO: Children age 5 and up are invited to play with Legos from 1:30 to 3 p.m. at the Oak Lodge Library, 16201 S.E. McLoughlin Blvd., Oak Grove. YOUTH SERVICES VACATION: The Oregon City Library's Youth Services Programming will take a break through Sept. 3. 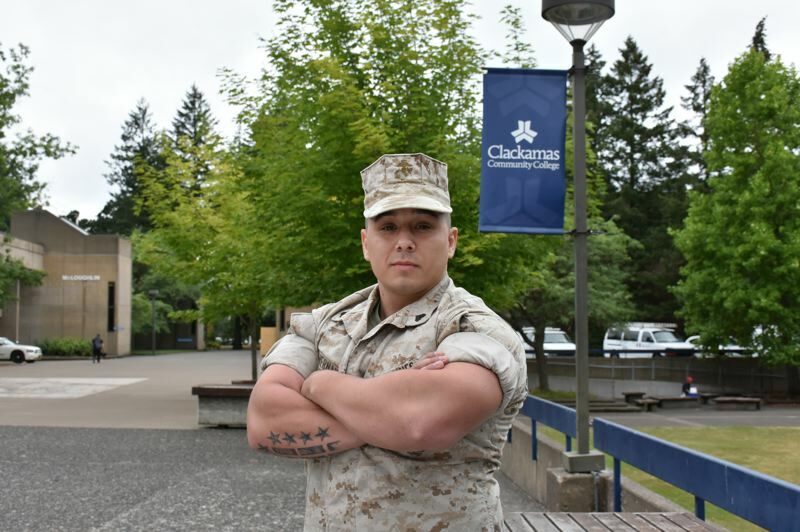 BOOTS TO BUSINESS: Fom 8 a.m. to 4 p.m., veterans are invited to attend a free Boots to Business Reboot course and networking event in Room 130 of Clackamas Community College's Harmony West, 7726 SE Harmony Road, Milwaukie. PARENTS, TEENS & COPS: The Oregon City Police Department in partnership with Oregon City High School will host this free conversation about teens and motor vehicles from 6:30 to 8:30 p.m. in the OCHS Auditorium. BOOK CLUB: The Elevated Readers Book Club will meet from 6:15 to 8 p.m. at the Oregon City Library, 606 John Adams St., to discuss Celeste Ng's "Little Fires Everywhere." All are welcome. SHOC GOLF TOURNAMENT: The SHOC Foundation's 10th annual Drive Out Ovarian Cancer Golf Tournament takes place starting at 7:45 a.m. at Langdon Farms Golf Club, 24377 N.E. Airport Road, Aurora. Visit shocfoundation.org for more information. CHILI COOKOFF: Starting at 4 p.m., Sunnyside Little Chapel of the Chimes will host its inaugural Five-Alarm Chili Cook-Off at 11667 S.E. Stevents Road, unincorporated Happy Valley. Proceeds from the event will benefit three local first responder organizations — Oregon Fallen Badge, Oregon Volunteer Firefighters Association and Oregon Service Member Relief Fund. To register and get details, visit sunnysidechimes.com/chili. CLACKAMAS COUNTY ON TAP & UNCORKED: This event will feature over 30 local wineries, breweries and distilleries in North Clackamas, along with food carts and lively entertainment. Entry is $15 and includes a souvenir tasting glass. This event, from 11 a.m. to 9 p.m., will take place at Sara Hite Memorial Rose Garden, 5440 S.E. Kellogg Creek Drive, Milwaukie; it benefits Meals on Wheels in North Clackamas. Discounted pre-sale tickets available at ClackOnTap. BARCLAY HILLS: 7 p.m. Tuesday, Sept. 11, St. John the Apostle Cemetery, 445 Warner Road, Oregon City. CANEMAH: 7 p.m. Thursday, Sept. 20, Oregon City Police Department, 320 Warner Milne Road. GAFFNEY LANE: 7 p.m. Thursday, Sept. 13, Meadows Courtyard, 13637 Garden Meadow Drive, Oregon City. HECTOR CAMPBELL: 6:30 p.m. Monday, Sept. 10, Milwaukie Public Safety Building, 3200 S.E. Harrison St.
ISLAND STATION: 6:30 p.m. Wednesday, Sept. 19, Milwaukie Grange, 12015 S.E. 22nd Ave.
LAKE ROAD: 6:30 p.m. Wednesday, Sept. 12, Milwaukie Station Food Cart Pod, 11301 S.E. 21st Ave.
LEWELLING: 6:30 p.m. Wednesday, Sept. 12, Chapel Theatre, 4107 S.E. Harrison St., Milwaukie. LINWOOD: 7 p.m. Thursday, Sept. 13, Linwood Elementary School, 11909 S.E. Linwood Ave., Milwaukie. MCLOUGHLIN: 7 p.m. Thursday, Sept. 6, Carnegie Library Community Room, 606 John Adams St., Oregon City. STAFFORD-TUALATIN VALLEY: 7 p.m. Monday, Sept. 10, Stafford Primary School, 19875 S.W. Stafford Road, West Linn. LEWELLING CONCERTS: Enjoy concerts at 6:30 p.m. at Ball-Michel Park, 9781 S.E. Stanley Ave., Milwaukie. Tonight's entertainment: The Get Ahead. CLACKAMAS ARTS ALLIANCE ART ON DISPLAY: See the work of Clackamas County artists at various locations. Genny Entezari's work will be at the Public Services Building in Oregon City through Sept. 4; the art of both Nina Bradford and Cheryl Butterfield will be at the Development Services Building through Sept. 13. Artists from North Clackamas Christian School will show their work through Oct. 4 at Providence Willamette Falls Medical Center, while Miriam Selby's work will be at Providence Milwaukie Hospital through Oct. 3. See Leland John's artwork at the Clackamas Federal Credit Union through Sept. 11. ARDENWALD CONCERTS: All are invited to these concerts at 7 p.m. at Ardenwald Park, 3637 S.E. Roswell St., Milwaukie. Tonight's entertainment: Steve Hale & the Super Soul Heros. DO YOU FEEL A DRAFT? : This adult writing group meets from 5:30 to 7 p.m. every first and third Wednesday at the Oregon City Library. Also Sept. 19. ART LAB: Families are invited to explore the art world from 2:30 to 4 p.m. at the Oregon City Library, 606 John Adams St. Today's inspiration: Painted leaf prints. LIVE THEATER: Clackamas Repertory Theatre's final play, "Ripcord," opens tonight and continues through Sept. 30 at the Osterman Theater, on campus at CCC at 19600 S. Molalla Ave., Oregon City. Performance times are 7:30 p.m. Thursday through Saturday and 2:30 p.m. Sundays. For more info, call 503-594-6047 or visit clackamasrep.org. CABaRET: Concert features musical theater performers Sarah DeGrave, Cassi Q. Kohl and Caitlin Brooke, with accompaniment by Mont Chris Hubbard. Tickets $12 advance, $15 at the door of Chapel Theater, 4107 S.E. Harrison St., Milwaukie. More information at chapeltheatremilwaukie.com. LEDDING CLOSURE: The Ledding Library will close Monday, Sept. 24, for three weeks in order to move. The library will reopen in mid-October at the temporary location: 9600 S.E. Main St., Milwaukie. Contact phone numbers will remain the same. RIVER CLEANUP: Plan ahead and register now for the Down the River Clean Up on the Clackamas on Sept. 9. To register, visit welovecleanrivers.org/clackamas-down-the-river-clean-up-sep/volunteer. STORYTIMES: The Gladstone Library hosts three different storytimes, at 135E. Dartmouth St. Toddler Storytime takes place at 9:30 a.m. Tuesdays; Baby Storytime is at 9:30 a.m. Wednesdays; and All Ages Storytime is at 9:30 a.m. Thursdays. NAMI CONNECTIONS: NAMI Connections meets 2:30 to 4 p.m. Wednesdays and 6 to 7:30 p.m. Sundays at Kaiser Brookside, 10180 S.E. Sunnyside Road. HOLMES HOUSE: The historic 1847 Holmes House, nicknamed the Rose Farm, is open for the summer season from noon to 4 p.m. Fridays and Saturdays through Sept. 15. The Rose Farm is located at 536 Holmes Lane, at the corner of Holmes Lane and Rilance Lane in Oregon City. For history, hours, location and events, visit mcloughlinhouse.org.